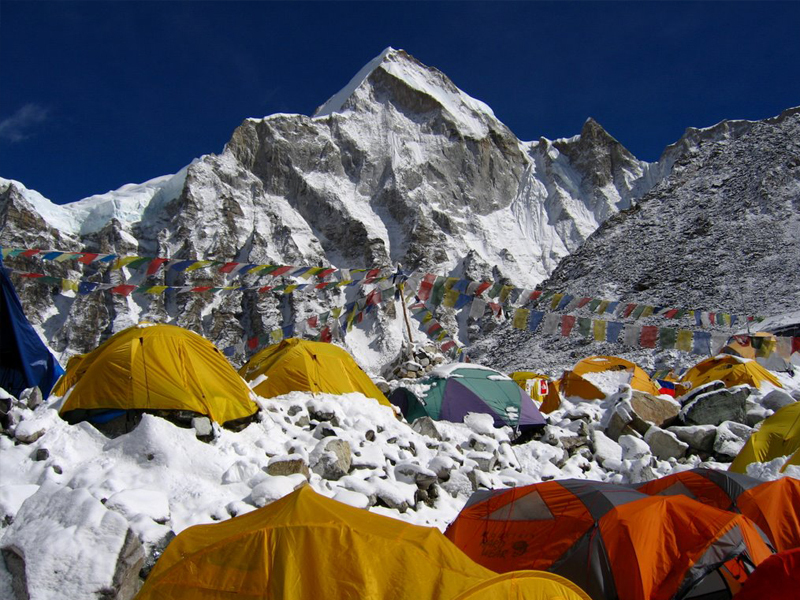 Everest Base Camp Trekking follows the legendary foot steps of Sir Edmund Hillary and Tenzing Norgey Sherpa. Ever since the first successful ascend on Mt. Everest in 1953, the adventure travellers put Everest Base camp on their wish list. And thousands of wish lists have come true along with the proper infrastrucutre built in Everest base camp trekking route.Our 16 days Everest base camp itinerary lead you along the legendary mountaineers sherpa settlements at Lukla, and passes by Namche, Khumjung and finally brings you to the base camp of Mt. Everest, 5,364m from the sea level. Not only the highest moutains and peaks in this trek you enjoy wiht but in the same time you will have a peace of mind by visiting the monasteries and meeting the monks along the trail. So Everest base camp trekking is combination of adventure and spiritual peace and tranquility, which will sets you aside from the mess of life. While planning 16 days Everest base camp trekking you have to fly 30 minutes mountain flight to Lukla (2,800 m) and start trekking for another 11 days. After reaching the base camp and Kalapattar you will walk back same trail to Lukla and fly to Kahtmandu. The trekkers who are new and have not previous experience of trekking in the high mountains, concern about flying directly to 2800m, though you land at 2800m at Lukla the first overnight will be 2610m at Phakding. so almost 200m lower altitude to sleep and next day you will sleep at 3450m and the another day also you will spend at Namche, this is acclimatization day to let your body to adapt the oxygen level.In the acclimatization day we hike higher altitude and sleep at lower altitude which will massively help to cope with the altitude sickness.Our itinerary is designed on advice of our clients so we put another acclimatization day in the itienerary of Everest base camp trek. So even the people with no experience but s/he should be Physically fit and strong determination of walking 6/7 hrs a day uphills and downhills can be eligible for Everest base camp trekking. While starting trek to Everest base camp at Lukla sometimes the weather gets bad and the entire itinerary to be changed or must wait long in Lukla, if the weather is bad at the end of trek so we suggest to put 1 to 2 days as buffer time. 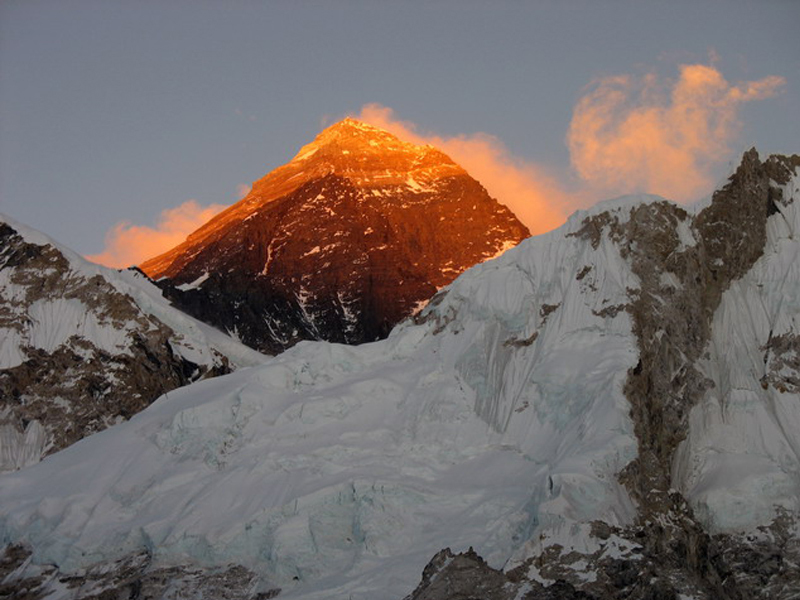 So we offer the package to Everest base camp trek which starts lower altitude at Salleri. Salleri is10 hrs jeep transfer from Kathmandu. 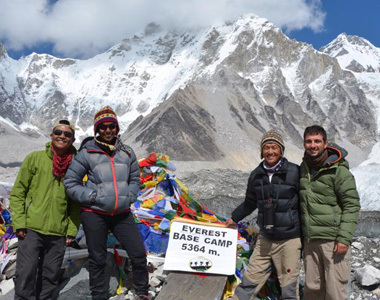 While taking 18 days Salleri- Everest Base Camp trekking route, provides sufficient time for acclimatization and minimizes the risk of bad weather. 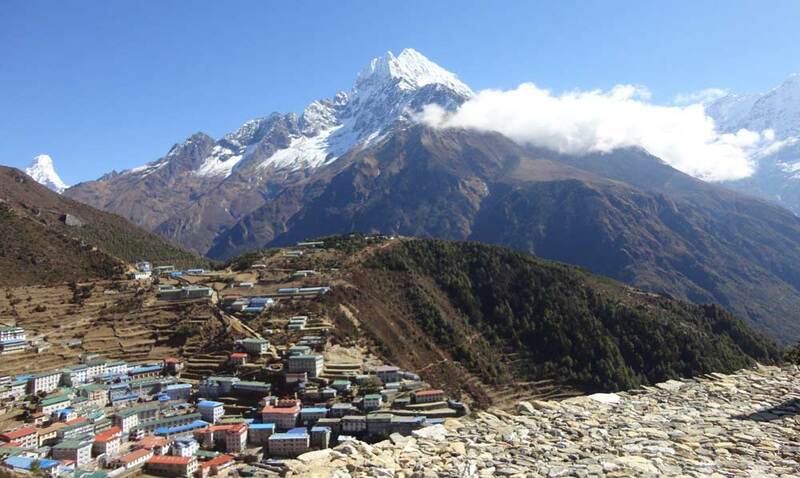 And if you have 3 weeks holiday for Everest region trekking and want to start at lower altitude and want to see the landscape and culture of the local people then you might do Jiri – Everest Base Camp Trekking. Nature Adventure Trekking and Expedition Nepal is Kathmandu based trekking agency run and managed by the team of professional trekking guides. Our knowledge and experience on advenuture holiday arrangements has made our clients Everest base camp trekking trip 99% success. As we put our clients safety and satisfaction at the top priority our expert guide will always be attentive to make sure that each team members condition is good. So book the trip everest base camp trek with us,well handle your trip leting yourself free of hassle. Accommodation in Kathmandu, 2 nights before trekking to Everest Base Camp and 2 nights after the trekking at 3-star standard hotel in Kathmandu. During the trek you will spend 11 nights at standard tea houses. All accommodations for Everest Base Camp Trek are on twin sharing basis. However, single rooms can be made available on request When the rooms are not full. However, bear in mind that there are several places that do not allow single accommodations in the Everest Region for i.e. Tengboche, Gorakshep and some other places. During your Everest Base Camp trekking you can enjoy Nepali food as well as all types of international cuisine (Tibetan, Indian, continental) and also local Sherpa dishes. You can have pizza, Dalbhat ( Nepali set) chips, bread,soup, pasta with verities of drinks hot chocolate, milk/ black tea.The breakfast and dinner is served from the tea house menu where you spent the night. And the lunch is served on the way to destination. The breakfast is included in Kathmandu however, the lunch and dinner is not included. Autumn (Sept to Nov) and Spring (March to May) are the best seasons for the Everest Base Camp Trek. The weather is sunny and warm with outstanding views. 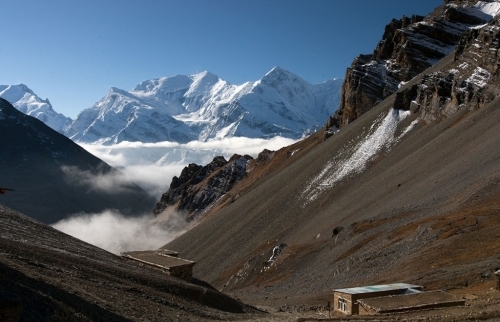 Winter (Dec to Feb) is also good for Everest Base Camp Trek, only issue is cold (obviously). Trekking in summer or Monsoon (June to Aug) will be affected by rain but summer trek could be a boon for a keen botanist. 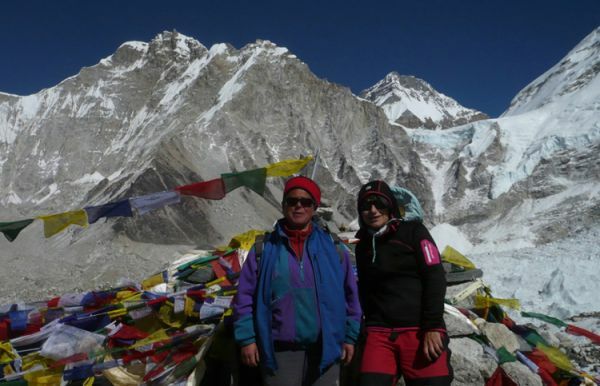 The group size for 16 Days Everest base camp trek is minimum 2 person and above, if you have 2 person or above of family and friends circle then we offer private tour in the given price. Or if somebody wants to make it solo trip then upon the payment of single supplement we arrange the trek. Please do let us know. And we will arrange the trip according to your choice. We have different dates to start the trekking, and if any of given departure doesnt meet your trekking time then drop an inquiry mentioning the date of your trekking we will find the same match. Day 01 Arrival in Kathmandu airport and transfer to Hotel. (Meal plan Dinner)Meet our representative at airport and transfer to Hotel Nirvana garden which takes half hour driving. Check in the hotel and in the evening welcome dinner near your hotel and introductory program. Day 02 Half day Sightseeing in Katmandu city with cultural tour guide. Hotel Meal plan (Breakfast)After Breakfast we get ready for half day sightseeing tour of Hindu Temple Pashupati Nath and of Boudhanath a Buddhist monuments. Both of these sites are enlisted under World Heritage Sites. After a half day sight seeing of around 3 hrs get back to hotel and take time to sort out the trekking gear for Everest Base Camp Trekking. Day 03 Flight to Lukla and trek begins, Camp at Phakding (2610m.) 3-4 hrs.Lodge (Meal Plan B/L/D)Today according to flight time to Lukla,we take pack breakfast or hot breakfast then transfer and we check in the domestic airport which is 15/20 minutes away from the Hotel, and your half hour scenic mountain flight to Lukla starts, taking seat at the left side of the aircraft provides privilege of having good mountain views. We land at 2800 m Lukla airport and we begin our trekking from Lukla. The trail follows the Dudhkosi (milky) river by passing some small Sherpa settlements. You will have a look of mani wall and some stone carving (religious wall and carvings on rock) along the trail. The 2 to 3 hrs walking approaches you to Phakding (2,600 m), it is beautiful town with some lodges. We’ll stop for the night here. Day 04 Phakding to Namche Bazaar (3440m.) 6 hrs.Lodge (Meal Plan B/L/D) The trail from Phakding gradually heads to minor uphill along the pine trees enjoying the beautiful landscape of high rocky hills and mt. Thamserku 6,618 m. and there is Sagarmatha national park check post at Monjo where our guide get registered the national park permit TIMS. And we walk further 20 minutes from national park office to Jorsale this is the last settlements before Namche hence we have to have lunch here. 45 minutes further walk from Jorasle approaches us to Hillary bridge. From the Hillary bridge the uphill starts which lasts 2 to 2.5 hrs or more. And this is one of the steep uphill in Everest Base Camp Trekking. And on the way up if the weather is clear the Mt Everest can be seen. Day 05 Namche Bazar, Day hike to Khunde, Khumjung and Everest view hotel (3900m.) 5-6 hrs.Lodge (Meal Plan B/L/D) Today is acclimatization day so the guide and assistant guide will bring you 450 m higher the Everest view hotel (3,900m), it is good spot for having great view of mt. Everest, Lhotse, Nuptse,Tobuche, Thamserku, Kangtega and Mt Amadablam (6,812 M), this is most beautiful mountain in the Everest region. After Everest view hotel we descend to the beautiful Sherpa village- green roofed houses, centrally located monastery and at the beginning of the village the Hillary School welcomes the visitors. Beautifully prepared terraces for plantation of the field is another attraction of the village. From Khumjung village we walk to Khunde village this village is located at 3800 m, this is also another beautiful Sherpa towns there is a hospital which serves the emergency and other normal patient service in the Everest region this hospital also founded by Hillary. 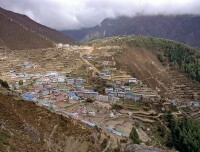 And after having visit of Sherpa village we walk back to Namche bazaar. Day 06Namche to Tenboche 3900m.) 6-7 hrs.Lodge (Meal Plan B/L/D) As usual after breakfast we start trekking to Tengboche. The first part of 10-15 minutes is gradually uphill and when we walk to the top of village you will enjoy nestling Namche with traditional but well renovated buildings. And half an hour walk provides beautiful view of Mt. Everest and Nuptse on left and Lhotse on right hand side. The beautifully paved trail heads flat up to the small tea house located at Kyangjuma. 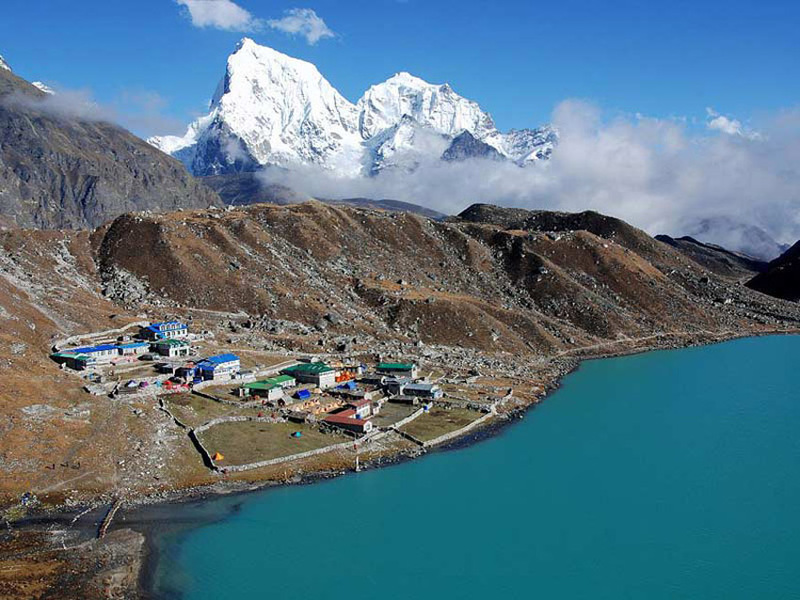 Where from the trail branches off to Everest Base Camp and Gokyo Lake trekking. We take the lower trail to Tengboche. The Trail heads down to Phungi Tenga, this is a tea and lunch place before ascending to Tengboche. Here from the uphill starts and lasts about 1.5 to 2 hours. We stay at Tenboche and after 3 pm the monasteries opens for visit. And this is very good site for mountain views and peaceful environment. Day 07Tengboche to Dingboche (4410m.) 5-6 hrs.Lodge (Meal Plan B/L/D) As usual, after breakfast our walk starts with gentle bit along the woods until the bridge of Pangboche and after bridge the trail starts climbing to Pangboche village. This is very old village which existed before exploring the trekking in Everest region. Mt. Amadablam, tiny top of Mt. Everest is seen from Pangboche. From Pangboche the trail further continues with some minor uphill. 1 hr before our camp at Dingboche the trail takes up hill for 30 minutes. In Dingboche some lodges provide wifi service yet it is not fancy high speed internet. Day 08Dingboche- Acclimatization Day (4410m.) 4-5 hrs. Lodge (Meal Plan B/L/D)Today, we have to climb up at least 300 to 400 m for acclimatization. For this purpose we can go either Chhukung (4700 m) or we have options of climbing a hill right above Dingboche if we walk right above Dingboche and if we made it to the last point then this is the altitude of 5000 m which needs continuous walking uphill of 3 to 4 hrs. And according to members condition we may come back from the half way and take a rest. The view of Mt. Amadablam, Island Peak is very excellent from this point. Day 09Dinboche to Lobuche (4900m.) 5-6 hrs.Lodge (Meal Plan B/L/D)From Dingboche we have to climb 500 m further to the next camping at Lobuche (4900 m). The trail today is gradually up hill somehow, from Thukla to Lobuche La is up hill for 45 min. In Lobuche La, there are many memorials built by the demised family who died on different expeditions including Mt.Everest . After this memorial the trail is easy with minor up hills up to Lobuche. Stay at Lodge. Day 10Lobuche to Gorekshep (5140m. )Via Everest Base Camp (5364m.) 6-7 hrs.Lodge (Meal Plan B/L/D)From Lobuche, it takes 1.5 to 2 hrs to Gorakshep ( the highest altitude to sleep during the entire Everest Base Camp trekking) we get the room, leave the lagguage, have lunch and then we continue further to Everest base Camp. The trail is mostly rocky passes over the glacier. 2 to 2.5 hours walk brings us to Everest base camp ( EBC). On the way to EBC Mt. Everest is seen only small top. 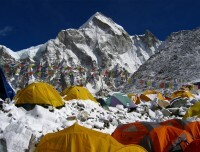 But you will be surrounded by Lho La, Changtse, Khumbuste and Pumori and Khumbu Ice fall is a grand at Base Camp. And the Khumbu icefall is very spectacular. Having some times in Base Camp we’ll get back to Gorakshep, way back is little faster so it takes 1.5 to 2 hrs to come back to Gorakshep from Base Camp. We have dinner at warm dining room. Try to get good sleep. Day 11Pheriche 4240 m via Kalapattar 5550 m(Meal Plan B/L/D)Today early morning you will get ready to climb Kalapattar 5550 m for sunrise on Mt. Everest 8848m. Since sunrise happens very early in the morning on Everest, we have to get up bit earlier. Climbing around 1 hr to 1.15 hr finally puts you into the front yard of Mt Everest at Kalapattar. Kalapattar is an excellent view point for Worlds’ highest mountain in the world. 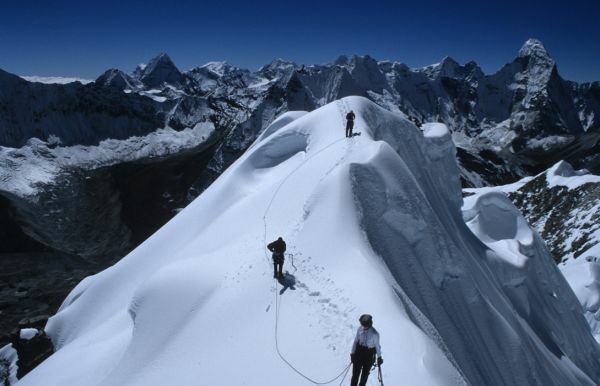 And it is also the highest altitude to step on during your entire adventure EBC trekking. Having panoramas photo shoot of Everest Base Camp and ranges of mountain seen from the Kalapattar we get back to Gorakshep, have breakfast and walk downhill to Pheriche which takes 4-5 hrs. Walking downhill is much more comfortable at high altitude it sounds hard day of climbing Kalapattar and walking down to Pheriche but it is fair walk and it is good to gain your sleep at lower altitude at Pheriche. 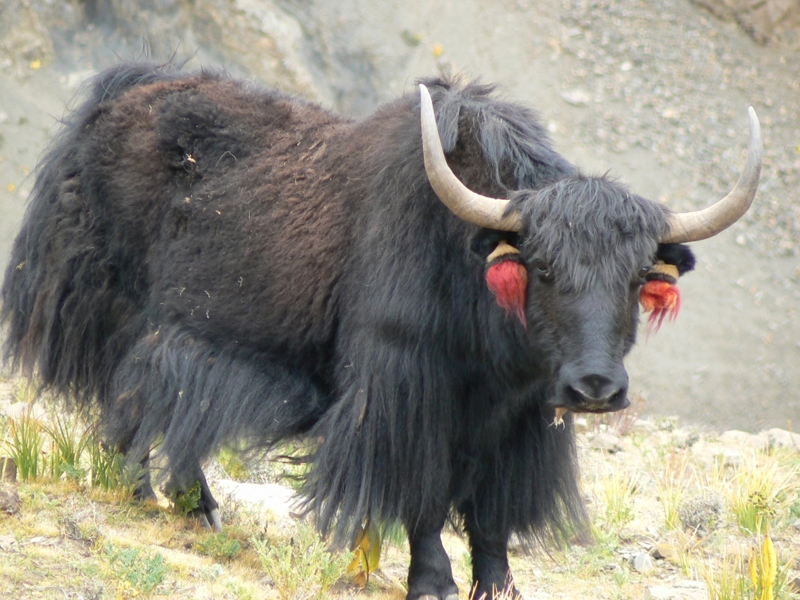 Day 12Trek to Namche 3440 m – 6/7 hrs (Meal Plan B/L/D)Today the trail is mostly down hill. After half hr walk from Pheriche meets the trail that you separated for Dingboche. Then you follow the same trail of Pangboche, Deuche, Tengboche, Phungi Tenga and Namche. 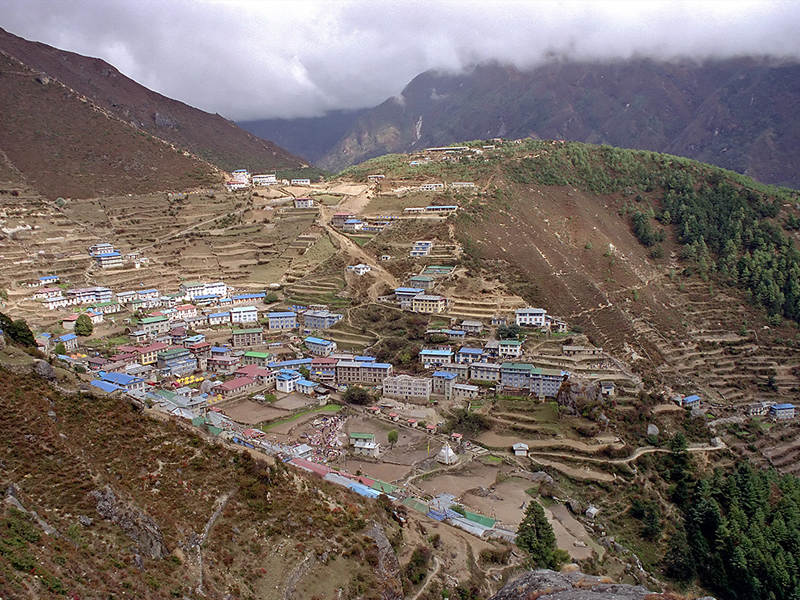 The walk of 6 to 7 hrs brings you to Namche Bazaar. We spent the night at Namche. Day 13Trek to Lukla 2800 m – 6/7 hrs (Meal Plan B/L/D)The walking of 6/7 hrs brings us to Lukla. The trail is downhill till Hillary Bridge then some minor uhphills and downhills along the Sherpa settlements of Jorsale,Monjo, Benkar, Phakding and Chheplung and final walk of Lukla. Lukla is well facilitated small town which serves night club and bars and bakery. Last day with your staff, wish for wonderful weather to fly back to Kathmandu of the following morning…. Many trekkers concern whether they should have mountaineering skills or experience for Everest Base Camp trek? As this trek doesn’t go over the high technical passes it doesn’t require any mountaineering skills where as this trek demands sound physical fitness. And our itinerary for EBC trek is carved considering the high altitude sickness; you don’t ascend more than 500 m in 1 day. And also we have assorted 2 rest day for the purpose of acclimatization. Everest Base Camp trekking is much more advanced in terms of communication. Almost every tea houses have Wifi ( not free) and almost everyday the mobile phone service is available so it is convenient to get in touch with friends and family during your trek. And it is convenient for communication for emergency situation. During the Everest Base Camp trekking mineral water, boiled water is available somehow, we suggest you to drink boiled water or bring chlorine tablets to purify the normal water from the spring. The boiled water cost small amount of charge as the tea houses use kerosene or gas to boil it. We encourage to use boil water or treated water to drink so as to conserve the environment. For the group of above 6 person we arrange boiled water for drinking and for the night to heat you up in hot water bag. We arrange kerosene and stove to boil water. Everest Region is predominantly inhabited by Buddhist people and you will see many mani stones, stupas, gumbas and prayer wheels. It is respectful to pass these objects to your right side, in a clockwise direction. Avoid sitting or standing on mani stones, stupas, tables used for worship or anything that is a religious symbol, as that is considered disrespectful. And while entering into the monasteries always off your shoe. Since Everest Base Camp trekking needs to go over 5550 m, comparatively it is higher trekking region so we strongly recommend to have travel insurance which should cover helicopter evacuation in case of emergency. And also you make sure that the insurance covers the trip cancellation. Nature Adventur.e Treks and Expedition P. Ltd. Can arrange the helicopter evacuation and corresponding to your Insurance company on your behalf. Domestic flights to Lukla sometimes can be delayed or cancelled due to bad weather. If the flight is cancelled and we can arrange to get you on the next possible flights. But if the flight cancelled multiple times and if it is the beginning of the trek, the itinerary can’t be catch up so we provide other trekking alternate and you are free to choose. There are many excellent trekking options in Langtang, Annapurna and in other regions besides the Everest Base Camp. If you still don’t want alternate route and stick on to Everest Base Camp trekking and wait in Kathmandu for the flight to Lukla your original trek can be shortened due to the days lost in waiting. In such cases the client himself/ herself will be responsible to pay additional expenses including food and accommodation in Kathmandu. If the clients wishes to make alternate arrangements of flying with helicopter Nature Adventure Treks can make bookings of the helicopter but will not cover the cost of helicopter flight if it is shared by members the guides’ share also to be bear by clients. However we refund the unused airfare to clients. However we don’t refund for unused service provided in the package due to flight cancellation. We advise our client to have one or two extra days at the end of trekking and if the flight cancelled at the end of your trekking and if our clients wish to helicopter fly to Phaplu ( nearest road connection to Kathmandu) 1200 USD (somehow the heli cost is changing). We arrange the heli fly to Phaplu and take the 10/12 hrs jeep ride to Kathmandu. Or if you have time you may run down 2 days to Phaplu ( normally it takes 3 days to Phaplu from Lukla). Or if somebody wants directly fly to Kathmandu with heli it is 3,500 USD. The Helicopter can lift 4 to 5 people. If you want to avoid flight cancellation risk due to bad weather and also if you think it is too high to go directly 2,800 m Lukla . Then you have option to this problem; you can take Jeep transfer to Salleri and follow the itinerary of Salleri Everest Base Camp trekking. The 4 days walk to Lukla from Salleri and continue Everest Base Camp trekking and you can take one way flight to Kathmandu from Lukla. While taking this option you will enjoy beautiful landscape and different cultural blend along the trail up to Lukla.